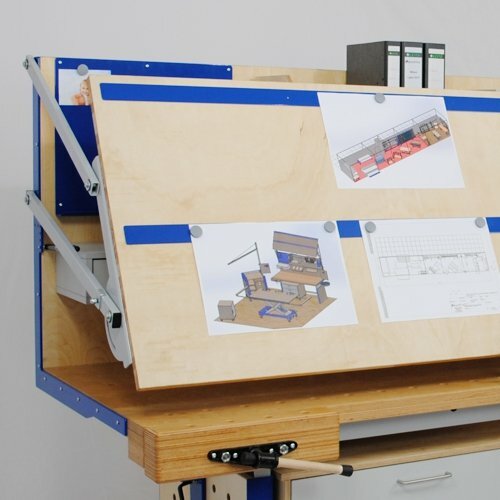 The BARTH APS-ORGA series workbench is a modern, ergonomic workbench that also makes work organization much easier. The large support surface of 2,300 mm x 860 mm consists of a massive multiplex plate with integrated rows of holes for clamping workpieces. The height adjustment of the worktop from 860 mm to 1,050 mm provides an ergonomic working height for any body size. 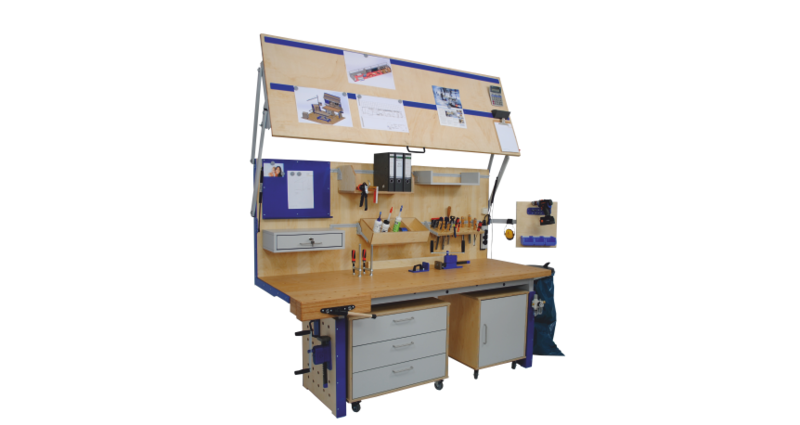 The workbench offers a generous storage space for roll containers or a Systainer® system below the worktop. 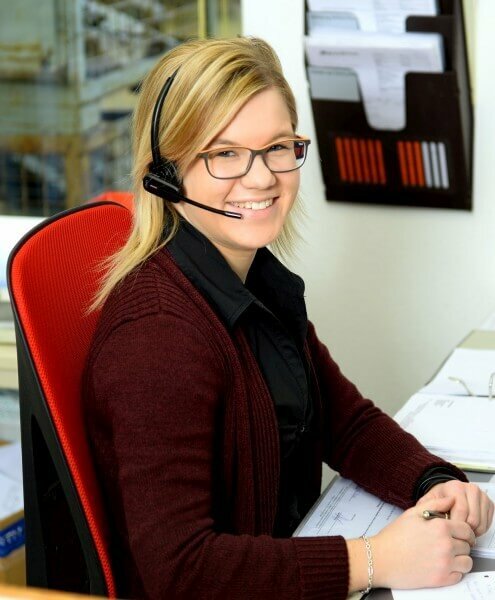 An integrated back panel is the heart of your workplace organization. The attached rail system allows you to customize the back panel – depending on the application. 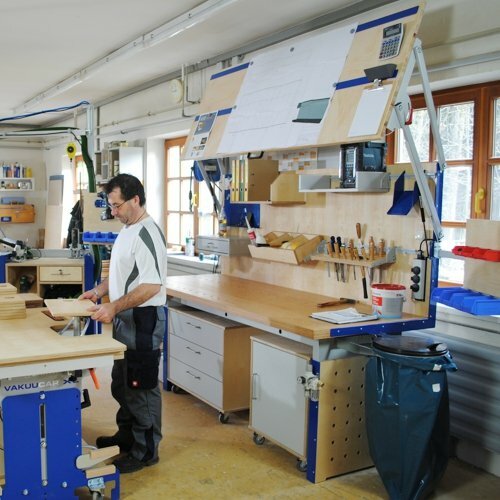 No matter whether tools, auxiliary materials, material or folders have to be stored, the flexible arrangement of the individual components offers you a great deal of individual freedom of design. The optional plan board above the back can be continuously adjusted in height using gas springs. Attached magnetic bars always ensure a secure fastening of your records and plans. Thus, your plans have a firm place at the workbench and are simply swung up when not in use. A personal, lockable compartment, holders for cordless screwdriver and charger, tilt-adjustable storage boxes, magnetic boards, garbage bag holder, roll containers, radio tray and grab boxes are just a few examples that can be integrated into the APS-ORGA SYSTEM. The ORGA workbench is a personal central point for every employee that he can tailor to their activities and according to their needs. Tray, drawers and compartments can be customized.